Soft pretzels are a staple at baseball games and pubs, but did you know they began as a Lenten food in the early centuries of Christianity? 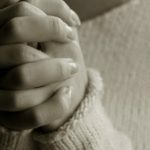 While still a time of fasting and self-denial, Lent in our modern times is significantly more lenient than it was originally. Early Christians deprived themselves of eggs, fat, milk, meat, among other things. 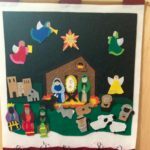 As a result, cooking during Lent was a challenge to say the least, and the observant became creative in developing ways to satisfy these religious requirements while still offering their families sustaining food. Pretzels were one of these foods as the most basic recipe only requires water, flour, and salt. To make the religious undertones even more clear, the basic bread would be formed into a shape resembling crossed arms. For early Christians, this was the more common way to pray (compared with our modern equivalent of folded hands). In fact, we see this same posturing in the modern Catholic Church where anyone not receiving Communion approaches the altar to receive a blessing. This shape also results in three holes, which represent the Holy Trinity. Even the word “pretzel” arguably comes from its origin as a spiritual food. In Latin, two words found to be used in describing the pretzel shape are “petriola” (“little reward”) and “bracellae” (“little arms”). Both words align with one version of the story surrounding the origin of the pretzel: monks giving them to children as a reward for memorizing scripture. In German, the word “brezel” was used to describe the twisted bread, and there is a separate origin story revolving around imprisoned monks developing the bread in order to survive physically and spiritually during their captivity. There are many versions of the pretzel origin story. Whether monks in Germany or early Christians in Rome, the basic premise is the same: pretzels were intended as a religiously observant food with a special message of prayer and fasting. 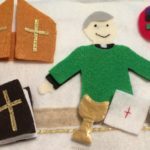 Even though it’s not as strict as the original pretzel recipes would have been, here is a simple and delicious pretzel recipe to use during Lent or throughout the liturgical year! In small bowl, combine 1 1/2 cup warm water, 1 tbsp sugar, and 2 teaspoons kosher salt in a bowl. Sprinkle the yeast on top, and let the mixture stand until the yeast becomes foamy, about 5 minutes. You can either prep the remaining ingredients or complete (1)-(3) and then finish the mise-en-place. Separate 1 egg, retaining the yolk. Beat egg yolk with 1 tbsp water. Place two baking sheets (one on top of the other) and spray with nonstick spray. 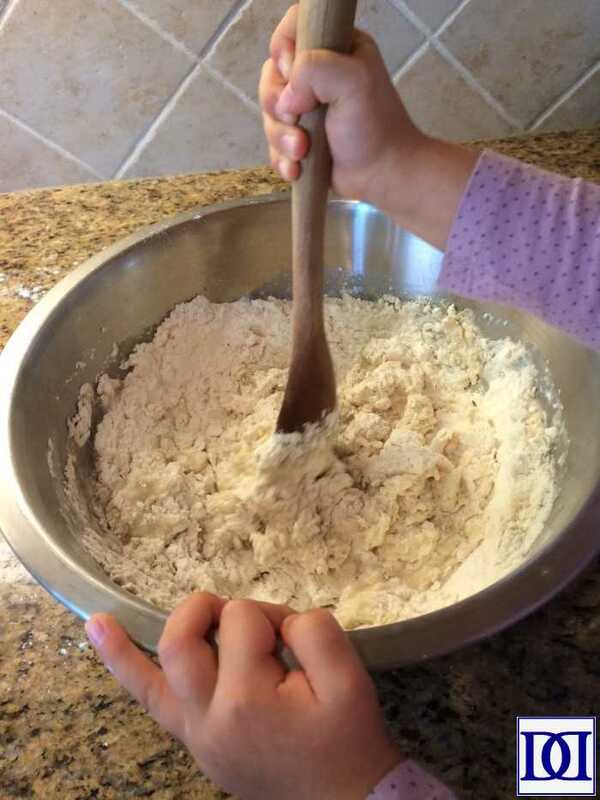 (1) Combine flour, butter, and yeast mixture in a large bowl. Mix together until they form a ball. 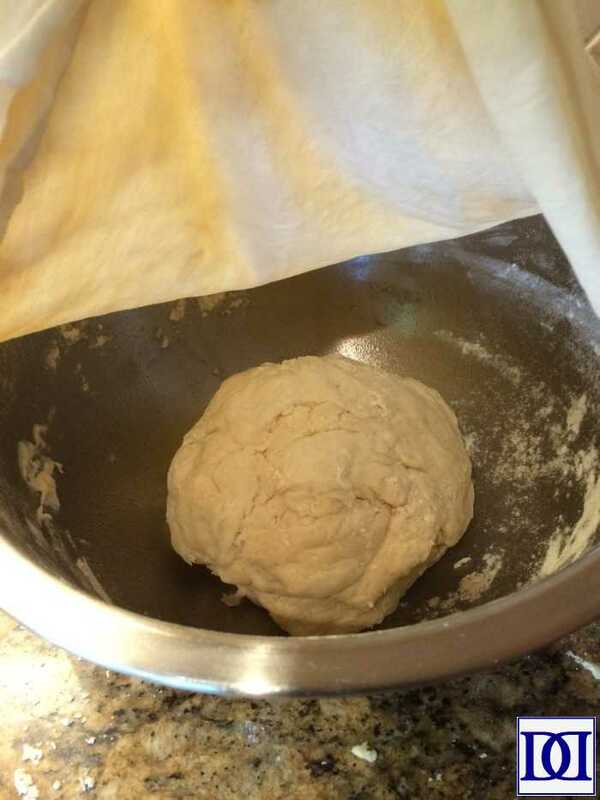 (2) Remove from bowl and knead lightly on a floured surface for 2 minutes. 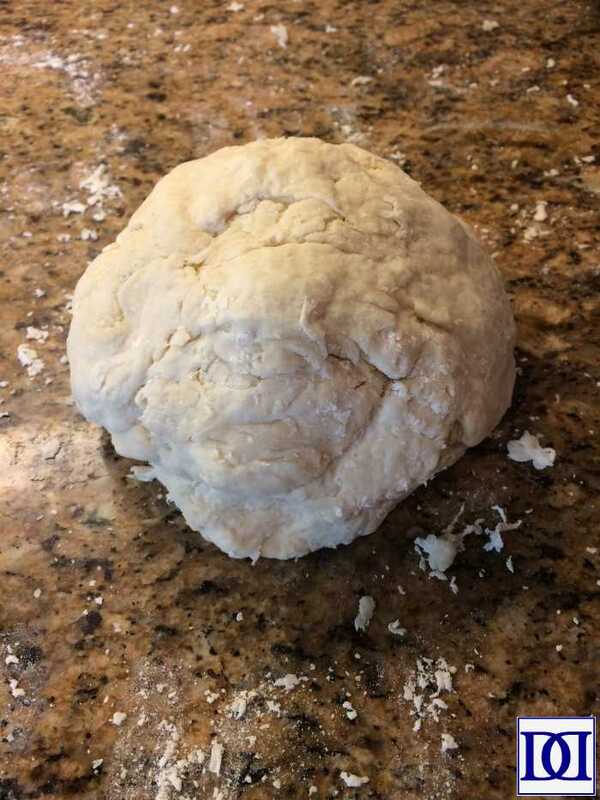 (3) Form into a smooth ball, spray large bowl with non-stick spray, and place dough in bowl. Cover with a moistened kitchen towel and set aside for 1 hour. 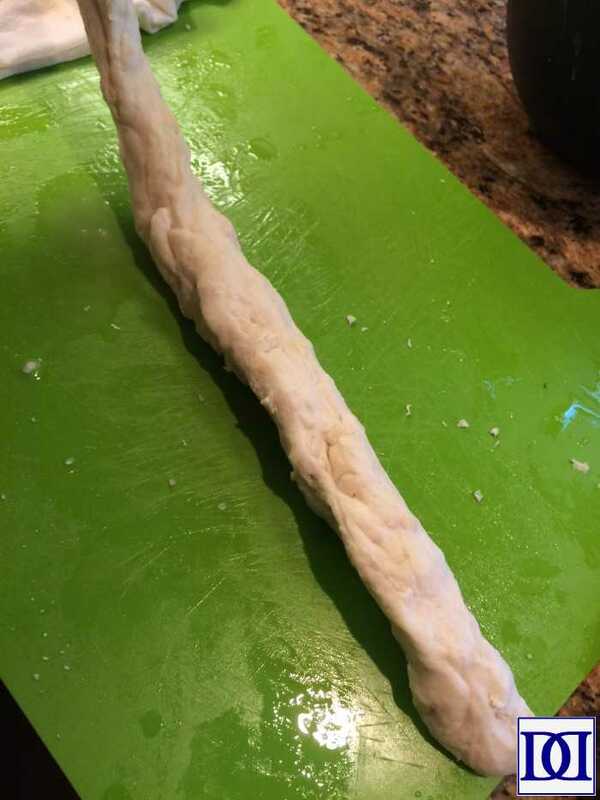 (4) Separate dough into six pieces and roll out individual pieces like a play-dough snake. 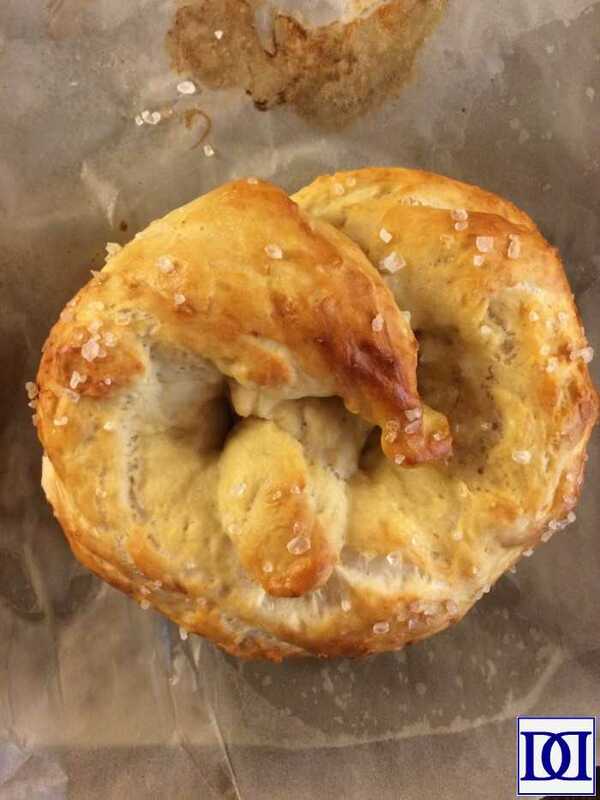 (5) Shape pretzel, brush with egg mixture, and sprinkle with salt. (6) Whisk baking soda in 4 cups hot water. Dip pretzels (either in “rope” shape or in pretzel shape) into hot water mixture. Place on baking sheet and brush with egg. (7) Bake at 450 degrees for 15-17 minutes. 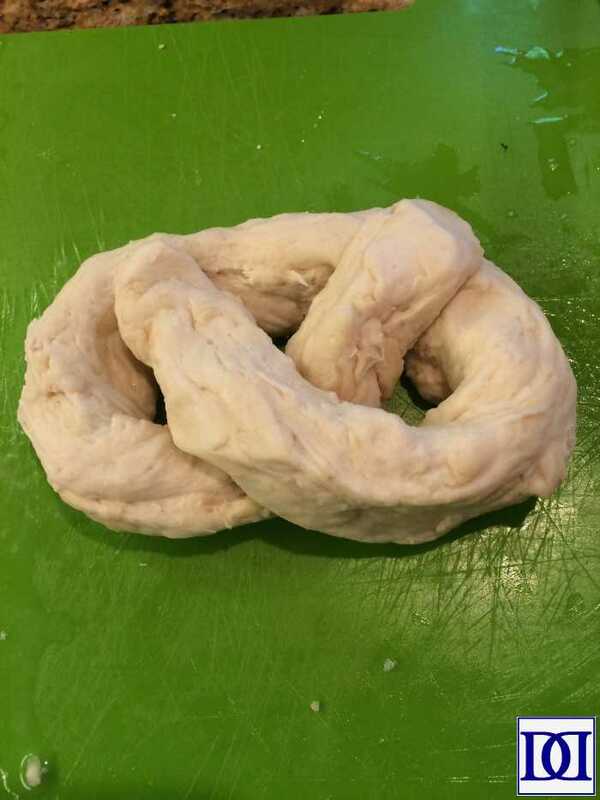 Hey Anne, I love your blog and my husband got super excited about the idea of soft pretzels! I’m just wondering, are the 4 cups of hot water and the baking soda actually used in this recipe? 1/2 cup of baking soda seems like a lot…? Thanks! It seems a bit crazy, but I did use the full 1/2 cup baking soda.